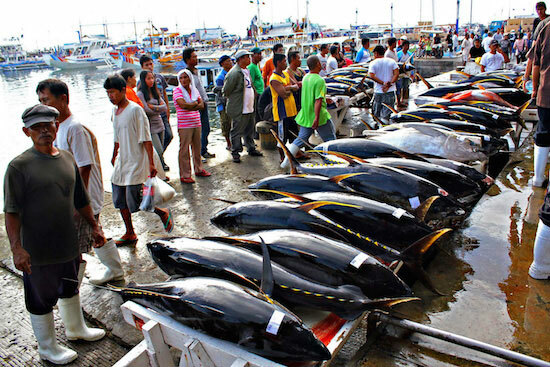 The Philippines is now the number 1 exporter of tuna to the European Union (EU), announced Trade Secretary Ramon Lopez at the 18th National Tuna Congress. The top exporter status is evidenced by the annual value of tuna exports prepared as sardines reaching $12 million, according to the trade official. The country also holds the top exporter rank in the category of fish prepared or preserved but not minced. Lopez credited the top ranking as a result of the country’s inclusion among the EU’s Generalized Scheme of Preferences Plus (EU-GSP Plus). The canneries of General Santos and Zamboanga enjoy the EU-GSP privileges. The requirements of the European market have been met specifically by the Mindanao tuna canneries of Alliance Select Foods International, Celebes Canning Corp., General Tuna Corp., Ocean Canning, Philbest Canning Corp., Seatrade Canning Corp. and the Zamboanga-based Permex Producers Exporters Corp. The inclusion, says Lopez, has resulted in generating jobs for Filipinos while increasing the country’s competitiveness in fishery exports. EU-GSP Plus is a preferential tariff scheme granted by EU to developing countries that meet the very stringent application requirements. This included the ratification and implementation of 27 international conventions on human and labor rights, environmental protection and good governance. The Philippines is currently the only country in Asean to enjoy this scheme.